Already know about the Blogger Disaster Response Network and just looking for a quick way to sign up? Click here. The Blogger Disaster Response Network was announced by BlogPaws, World Vets and Dr. V (Jessica Vogelsang) on October, 25, 2012. That team, together with the assistance of the bloggers that joined the network, we are working to make a positive impact for animals everywhere, whenever disaster strikes. Dr. V’s personal endorsement for the Blogger Disaster Response Network can be read here, and you can sign up here. 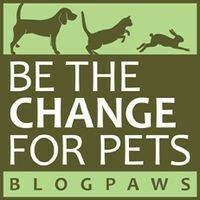 By signing up you agree to share your basic information (name, email and blog) with BlogPaws and World Vets. Your information will be safe with us. We only contact you via broadcast email when a disaster strikes and we need to spread the word about the event. It is your choice whether you want to participate in spreading the word about any disaster event. What does participation require? A blog post, a tweet, a Facebook status, a Pinterest post, a Youtube video and/or any other social media channel you want to use. Often World Vets sets up a chip-in and sharing the chip-in is a great way to share the cause. You can also share announcements and/or chip-ins everywhere! If you are interested in more hands-on involvement, please visit The Disaster Response page of World Vets website. Volunteers are always welcome. 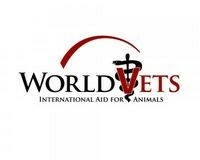 Additionally, BlogPaws will send out messages about disasters and how to help even if World Vets does not have an actionable item for response from World Vets. World Vets supports our BDRN and all of its efforts, regardless of what role World Vets plays in any particular disaster. In the end, we all simply want to help make a difference.